We invite you to come out as well to RACE into 2019. This is a FIRST TIME VALLEY EVENT, offered courtesy of the City of Avondale, and our venue partner ISM Raceway! Upgrade your experience with a VIP Pass for $200 per couple. New Year’s Champagne toast, two Pit Stop for Parents passes and gift bag. Get your VIP Pass to Avondale’s New Year’s Eve party at ISM Raceway! This upgraded package includes the magic of ZOOMTOWN Lights. The City of Avondale and ISM Raceway invite you to a New Year’s Eve celebration at the new and improved racetrack. A first-time event in the Southwest Valley, attendees will get to ring in 2019 early with a firework display coinciding with the East Coast’s New Year Countdown at 10 p.m. (MST). The celebration will take place Monday, December 31, 2018. Gates open at 6:30 p.m., the event ends at 10:30 p.m.
Entertainment will include DJ entertainment and a fantastic 15-minute spectacular fireworks show. Admission is free, with food and adult beverages available for purchase. All ages are welcome to this party, however, those needing a break from the kids can take advantage of The Pitstop for Parents – a supervised drop off area for children six years and older during the event. Finally, this event will also be the last night to experience 2018 ZOOMTOWN Lights! ZOOMTOWN Lights is a unique display of three million LED lights to transform ISM Raceway into a winter wonderland, featuring sparkling displays and experiences throughout an approximately 1.6-mile course for guests to enjoy from the comfort of their own vehicles. ISM Raceway is located at 7602 S. Avondale Blvd. in Avondale, AZ. 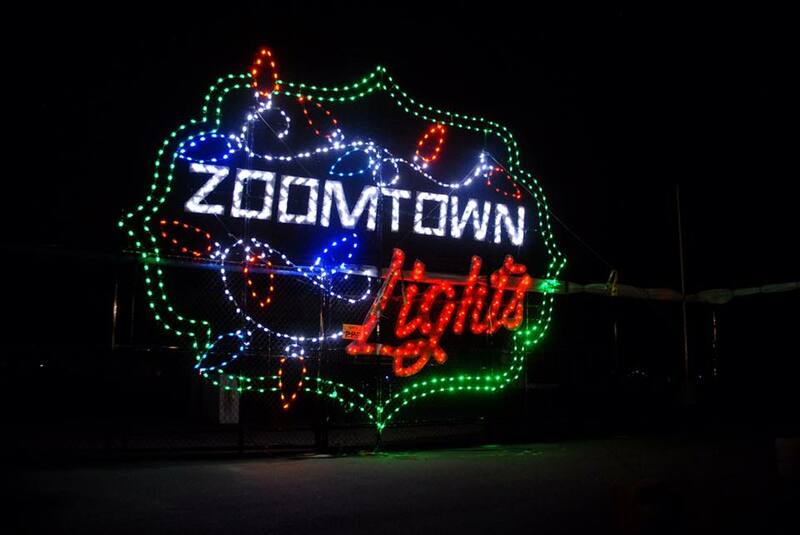 Finally, this event will be the last night to experience 2018 ZOOMTOWN Lights! ZOOMTOWN Lights is a unique display of three million LED lights to transform ISM Raceway into a winter wonderland, featuring sparkling displays and experiences throughout an approximately 1.6-mile course for guests to enjoy from the comfort of their own vehicles. The event is hosted in collaboration with City of Avondale Parks & Recreation, and ISM Raceway, sponsored in part by West Valley View newspaper. ISM Raceway is located at 7602 S. Avondale Blvd. in Avondale, AZ. Visit the website for more details, www.avondaleaz.gov/events or call 623-333-2400.